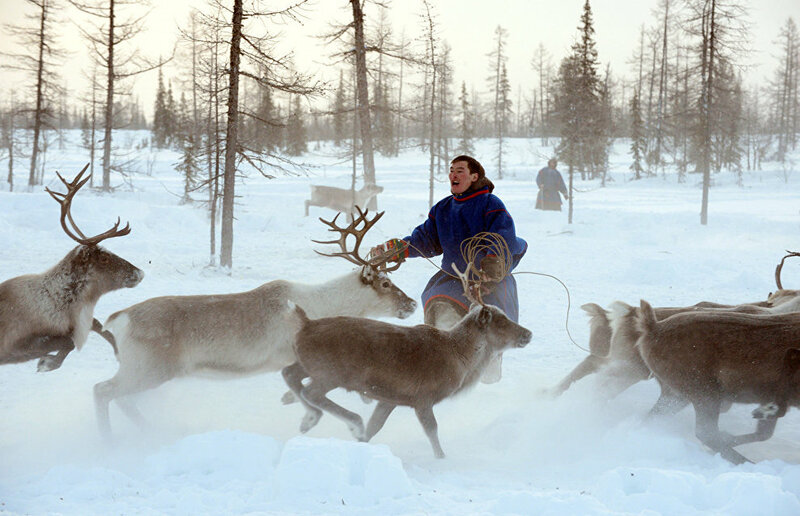 Over the course of a year-long ethnographic expedition, St. Petersburg researchers will lead a nomadic life with a family of Nenets reindeer herders along the Yamal tundra from the southern regions of the peninsula to the Kara Sea coast, the Arctic-Info reports. During the expedition, the scientists will monitor the impact of today's environment and active industrial development of the Arctic territory on the traditional way of life of the indigenous peoples. One of the main objectives of the expedition is to comprehensively study the culture of Arctic reindeer herders in the 21st century. On the expedition website, the participants will keep an online diary with photos and videos about the life of reindeer herders. The diary will be available in three languages — Russian, English and Nenets. The scientists also plan to open a nomadic kindergarten where they will prepare children of reindeer herders for school. The expedition is expected to be followed by a book release, photo exhibition and a series of lectures.